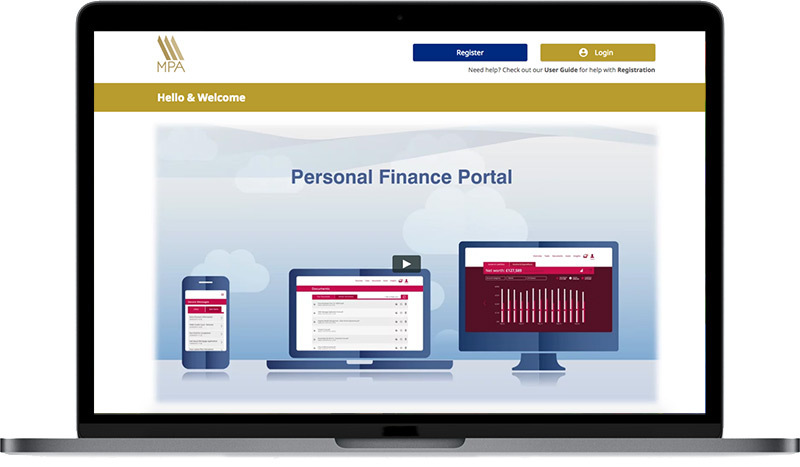 MPA’s clients have access to a WRAP, which is a sophisticated computer system which brings together all the independent elements of your financial portfolio including pensions, bonds, unit trusts, ISAs and direct shares allowing you to manage them under one interface. This means you have access to all elements of your portfolio online at any time. WRAPs cover a vast array of providers including Standard Life, Skandia, Ascentric, and Brewin Dolphin to name but a few. Log-in to My PFP (our MPA portal) or click the screen below.